While reporting that Apple could cut supplier orders for new iPhone 6s models by "30 percent," Japanese business newspaper Nikkei has characterized the move as "inventory adjustment" while adding that other iPhone models "have continued to sell." Despite Samsung gravely warning of Peak Galaxy, there's zero evidence of a demand crunch causing Peak iPhone. The Nikkei story was initially reported as stating that "Apple is expected to reduce output of its latest iPhone models by around 30% in the January-March quarter," without identifying the source of the rumor or even naming the actual suppliers purportedly involved. Instead, it named only "Japanese and South Korean parts suppliers" in general and cited an outside analyst as speculating that the cuts could involve a series of specific companies. AppleInsider first referenced the report without calling attention to an entire paragraph in the article which stated, "Output will be scaled back to let dealers go through their current stock. Production is expected to return to normal in the April-June quarter, once inventory adjustment is complete. Apple's products and brand have not lost their appeal, and older models have continued to sell." That indicates that the rumored supply cuts have no real relevance on overall iPhone demand or unit sales for last quarter or the current quarter, and instead only pertain to internal inventory adjustments. Apple analyst Ben Bajarin noted on Twitter "My data and checks confirm the same." My data and checks confirm the same. FWIW. Piper Jaffray analyst Gene Munster has similarly characterized the channel check rumors as production estimates that have little to do with final reported sales. Interpreting the meaning of changes in Apple's vast supply chain would require an in-depth understanding of the company's inventory management, its production ramp and how early production began compared to the previous year. Last year was Apple's first ever production of two different sizes of new flagship iPhones; this year the company has more experience in producing multiple models simultaneously and has prior data on consumer demand for the standard 6 and larger 6 Plus models in each of the different regions it sold the phones. 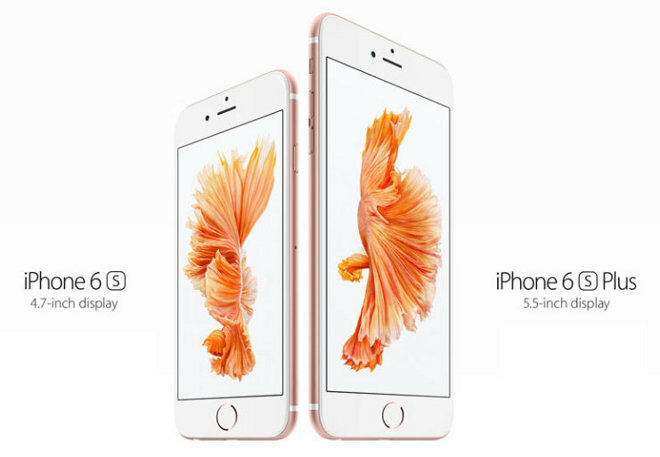 However, this is the first year Apple has sold two different generations of new pairs of flagships, meaning that the company is again learning for the first time how many of its customers will opt for the latest and greatest 6s/6s Plus models versus going with the discounted previous year 6/6 Plus editions that offer the same size benefit without new features such as 3D Touch, Live Photos, a higher quality camera, front facing Retina Flash and 4K video recording. "I don't want to comment on any particular rumor, because I would spend my life doing that, but I would suggest it's good to question the accuracy of any kind of rumor about build plans. "And I'd also stress that even if a particular data point were factual, it would be impossible to accurately interpret the data point as to what it meant for our overall business, because the supply chain is very complex, and we obviously have multiple sources for things. Yields might vary, supplier performance can vary, the beginning inventory positions can vary, I mean there's just an inordinately long list of things that would make any single data point not a great proxy for what's going on." Cook made those comments three years ago in January 2013 because of reports issued just prior to Apple's earning release which claimed that the company had slashed its display orders "in half." That report came from the same Nikkei paper that is now claiming Apple's iPhone 6s supplier orders may be cut by "30 percent." The Wall Street Journal also followed up with its own version of the channel check story in 2013, centering its attention on iPhone 5c. However, that paper first backpedaled its story, and ultimately was proven wrong as iPhone 5c turned out to be not only popular but strategically important in inciting Android switchers and a major smartphone success story. As Cook noted, even if there had been any element of truth to Apple's reported internal supplier changes, it had no impact on the number of iPhones Apple actually sold back in 2013. Apple reported sales of 47.8 million iPhones in the holiday quarter, representing a 29 percent increase over the previous year. The following quarter, Apple reported sales of 37.4 million iPhones in its historically slower post-holiday March quarter. There was no indication of any supply cut, and no possible way Apple could have been hoping to sell twice as many iPhones in the March quarter, as the Nikkei report implied. In fact, the original Nikkei rumor in 2013 even included an alternative explanation of the rumored supply chain cuts from analyst JoAnne Feeney of Longbow Research. "Our checks with supply chain contacts close to the situation identified a very different cause: a slower ramp in the manufacturing of iPhones and iPads (reflecting some quality control issues) and insufficient production lines," Feeney was cited as saying. "Rather than ordering more components and having inventory build up further, Apple put component suppliers on notice to hold off, for the time being, on further shipments until it expanded its production lines - which it plans to complete by the end of the quarter." Nikkei, along with the Wall Street Journal, chose to instead focus on the potential of weak demand for iPhones being behind the supply chain inventory adjustments. As Cook later noted, interpretations of the meaning of rumored supply chain changes have regularly been wildly inaccurate. Previous supply channel check rumors were wrong in 2012, independent supply channel checks from other sources (including Piper Jaffray analyst Gene Munster and Jefferies' Peter Misek) were wrong in 2013, and over the past quarter a series of supply channel check rumors (including regular reports issued by Credit Suisse analyst Kulbinder Garcha) have also failed to result in any real insight on how many iPhones Apple will actually report from the last quarter, or the quarter that will be reported more than three months from now. Channel check rumors have, however, resulted in driving Apple's stock price down dramatically, just as they did in 2013 the last time the Nikkei and the Wall Street Journal reported them. Who benefits from low priced Apple shares? Apple's ex-cash market cap is now lower than Alphabet, a company that earns less than a third the revenues or cash flow. Apple's quarterly revenue growth is also over 70 percent greater. If Apple were valued like Alphabet (with a P/E of 34.93), it would be currently priced at over $320 rather than today's close of $102.71. Apple's current P/E is 11.17, in the neighborhood of where it sat in 2013 while sites like the Wall Street Journal were incessantly reporting an outlook that claimed the company had ran out of innovation and that Samsung was eating into its business. That huge differential in valuation swings allows stock manipulators to cash in on both rumor-fomented panicked selling on the way down, and then again during the market's reaction once Apple announces its actual earnings in about two weeks. However, it's also of benefit to Apple's long term investors. That's because Apple is currently spending the already committed billions in its capital return program to buy back millions of shares at prices that are incredibly low. Apple has at least $36 billion left from its $140 billion earmarked for buybacks, so any dips in the stock are an opportunity to buy more shares than it otherwise could, if Apple were given a current valuation similar to its less profitable peers that are growing more slowly. Over the September quarter, Apple spent $14 billion buying back nearly 122 million shares, representing an average price of around $114.75. This quarter, Apple has the potential to buy back as many or even more, with share prices already having dipped as low as $102.24. The more shares Apple can buy with its cash, the bigger impact it can have on retiring shares, which drives its Earnings Per Share metrics upward and concentrates the value of Apple across a smaller number of outstanding shares.